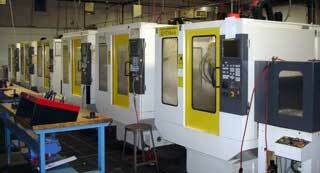 Jones Machine Company, Inc., CNC Milling department has the capability to run prototype and production runs. See below for some of our equipment and capabilities. The Kiwa comes equipped with 12,000 R.P.M. spindle speed and rapids of 2,362 IPM. The working envelope is 30"(X) by 40" (Y) with a tool carasol of 120 tools. 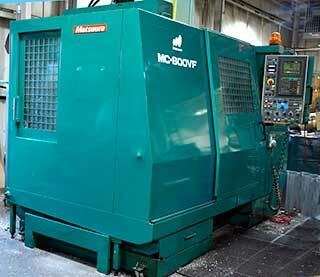 This makes this a very fast and productive machining center. Also comes with tool tip brake protection which allows for "lights out" machining as well as full 4th axis. Travel capacity's are X travel 31.50", Y travel 17.30", Z travel 19.00" with 4 axis and high pressure coolant pumps for deep hole drilling. RA1G Travel (X Travel 20", Y Travel 14", Z Travel 18" with 8000 RPM spindle. 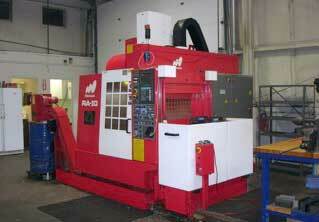 Robo T21 (Long Bed) with X21", Y14", Z18" and a spindle speed of 20K RPM. 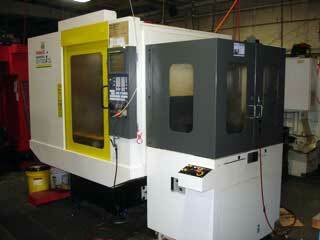 This milling machine is very fast, accurate, and very easy to set up. With 8 stations on each pallet this minimizes tool changing and always keeps the tool in the cut. Spindle speeds maxing out at 20K RPM makes for a great productive machining center. 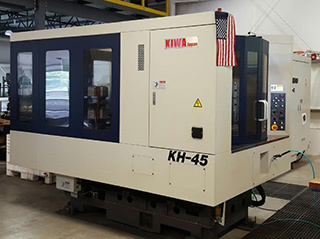 With 6 Robo drills in a row 2 or 3 operators can set up and operate all the machines. This keeps our overhead low and pricing competitive.